Shortlisted for the Penderyn Music Book PrizeSticky Fingers is the story of how one man's ego and ambition captured the 1960s youth culture of rock and roll and turned it into a hothouse of fame, power, politics, and riches that would last for fifty years. 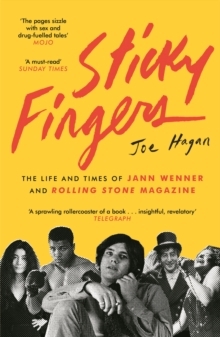 Drawn from dozens of hours of interviews with Jann Wenner, who granted Joe Hagan exclusive access to his vast personal archive, this biography reveals how Wenner manufactured an unforgettable cultural mythology in story and image every other week for five decades. Hagan captures in stunning detail the extraordi-nary stories behind Rolling Stone, the magazine that reinvented youth culture, and marketed the libertine world of late-sixties San Francisco. He chronicles Wenner's marksmanship as an editor, his instinctive un-derstanding of the zeitgeist, his endless pursuit of fame and power and his capacity for betrayal that would earn him as many enemies as friends. Featuring on-the-record interviews with Mick Jagger, Bruce Springsteen, Paul McCartney, Elton John, Keith Richards, Pete Townsend, Yoko Ono, Billy Joel, Tom Wolfe, Cameron Crowe, Lorne Michaels, David Geffen, Dan Aykroyd, Bette Midler, and many others, Hagan describes Wenner with intimacy, nuance, and complexity. 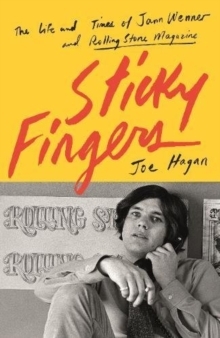 Like a real life Clash of the Titans, Sticky Fingers captures the spirit of the age and paints an unforgettable portrait of one of the most signif-icant cultural forces of our time.